This system can add the transportation mode of customer specifications. For example, the parallel transportation, the lot division, the lot integration, and the specified transportation, etc. This system has prepared the user port, therefore can unite with inspection unit etc. 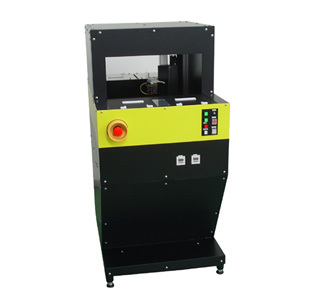 The use can support usage in accord with the needs of the customer including the inspection machine use or transportation machine use. The low price is realized by a compact design. The customer specification is supported. It is possible to unite with the inspection unit.